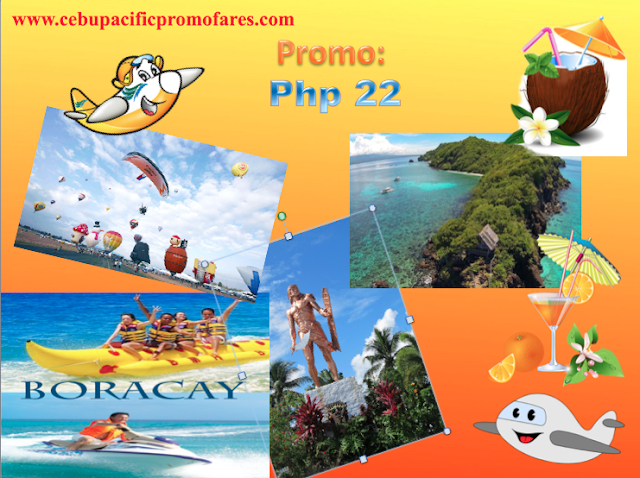 Cebu Pacific Promo Fares: As you know, it has been 22 years when Cebu Pacific started to service flights to the Filipino people and other countries worldwide. As the low cost airline in the country, Cebu Pacific will celebrate it's 22nd Anniversary in the business. Promo might run from March 8 to 9, 2018. One can purchase tickets through their GetGo Credit, Debit or Credit cards. The Php 22 is for the BASE Fare of the plane ticket. Expect mandatory FEES and TAXES to be added to the ticket but that's just very minimal.